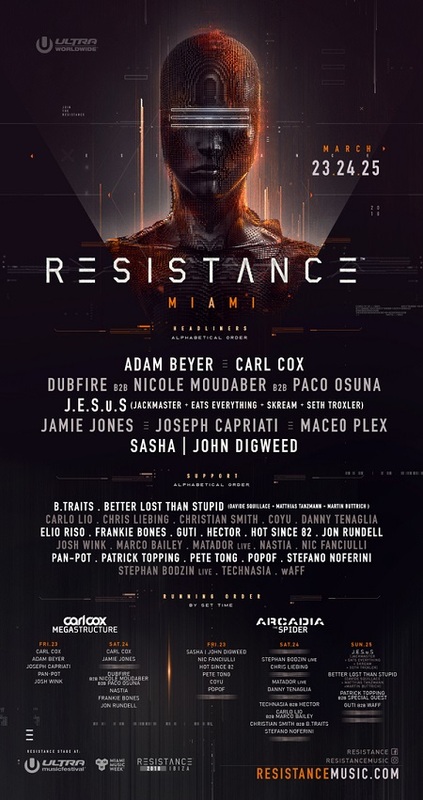 Ultra Music Festival drops their RESISTANCE Miami Lineup! 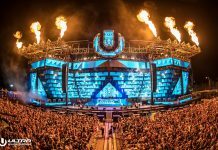 Home Edm News Ultra Music Festival drops their RESISTANCE Miami Lineup! 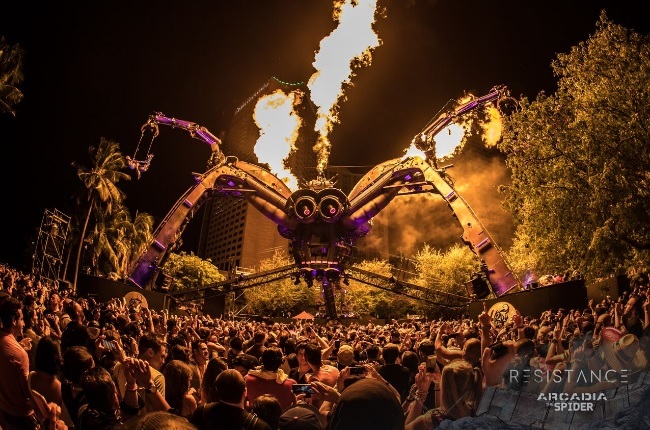 Having significantly upgraded and expanded its presence across Bayfront Park last year, RESISTANCE will once again dominate two colossal areas of ULTRA’s waterfront home, as it continues to grow into its own festival within a festival. 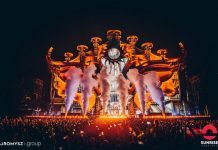 In addition to welcoming back Arcadia Spectacular’s jaw-dropping ‘Spider’ for the third consecutive year, RESISTANCE’s global ambassador Carl Cox will again host the Megastructure on Friday, March 23 and Saturday, March 24 to ring in the festival’s landmark twentieth birthday. 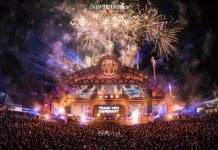 As expected ‘The Megastructure’ will welcome back some of the biggest names in house and techno across the first two days of the festival, with headline sets form Carl Cox (on both days), Adam Beyer, Jamie Jones, Joseph Capriati, Josh Wink, Nastia and a special b2b2b performance from Dubfire, Nicole Moudaber & Paco Osuna and a debut performance from Pan-Pot.